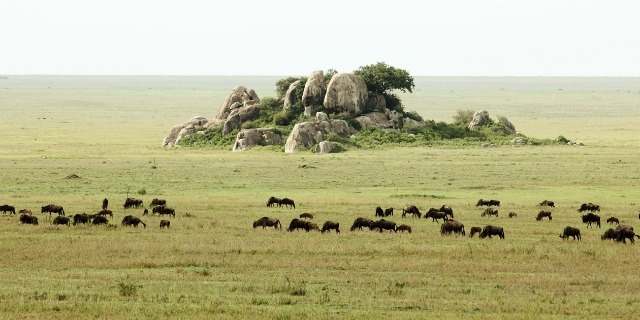 “Serengeti” is a Maasai word meaning “the place where the land runs on forever”, an apt description for this vast and fecund ecosystem. Covering 12,000 square miles from the Ngorongoro Crater in the south to Kenya’s Maasai Mara Reserve in the north, the enormous Serengeti National Park and its surrounding reserves is home to a dizzying array of animals: over 3 million large herbivores, nearly 10,000 apex predators, 70 mammal species and 500 species of bird. The Serengeti's "endless plains", dotted with kopjes and transected by rivers, are also the spectacularly beautiful backdrop for what is perhaps the most amazing wildlife spectacle on earth: The Great Migration. 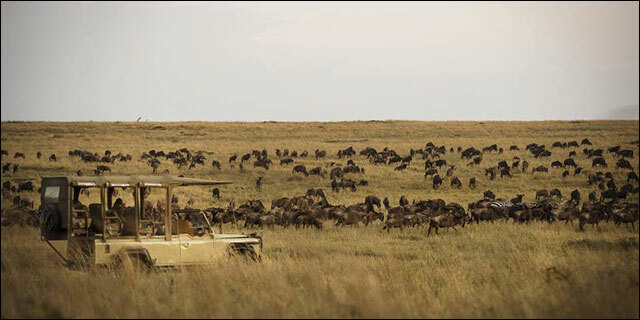 Every year, between 2 and 2.5 million herbivores complete a deadly 600 mile circular journey across the Serengeti-Mara ecosystem - this mass of ungulates consumes a staggering 5,000 tons of grass daily and, driven by the need for fresh fodder and water, must constantly be on the move to new grazing grounds. 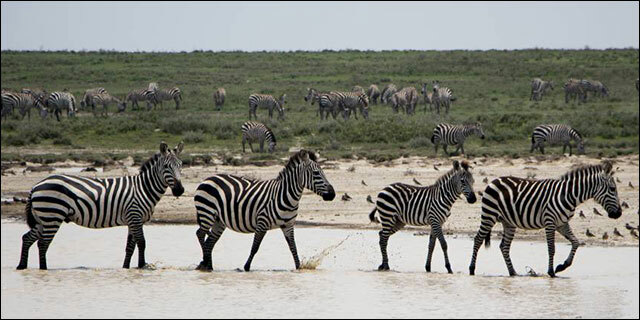 While traversing the "endless plains" and crossing its rivers, the grazers run the gauntlet of a super-abundance of predators, and roughly a quarter of a million perish during the course of the annual migration. The cycle starts with calving in the south (January through March), follows a dangerous, predator-rich route to replenish and rejuvenate on the lush grasslands of the north (July through October), and then returns south to start the process all over again. 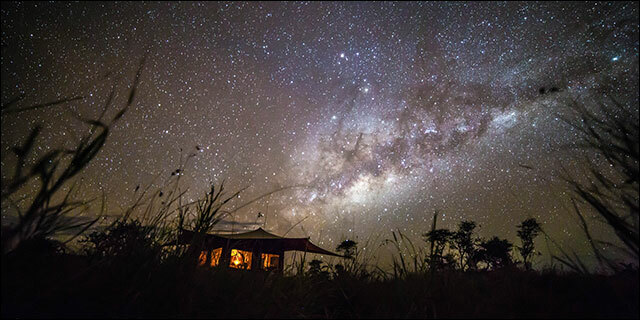 As a public and very well-known Park, the Serengeti attracts large numbers of visitors, and camp choice is critical to avoiding crowds. 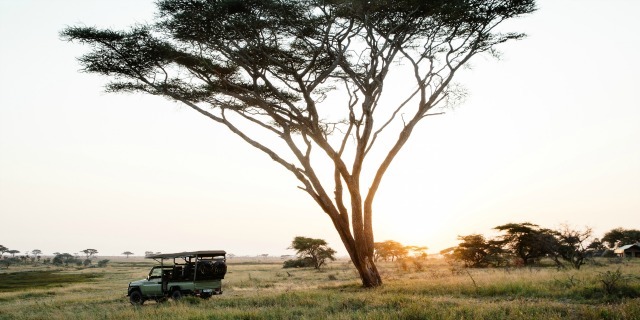 Whether on one of the outstanding private reserves adjoining the Park, or at an exclusive camp with a strategic location inside the Serengeti, it is still possible to enjoy the beauty and wildlife of this global treasure without the distraction of tourist minibuses.